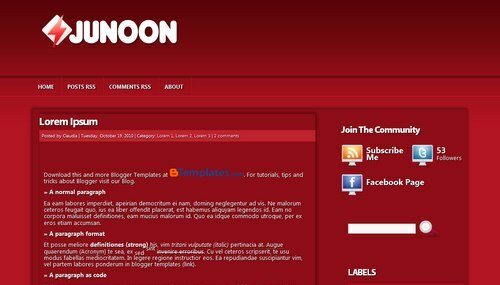 Junoon is a free blogger template adapted from WordPress with 2 columns, right sidebar and footer columns. nice blog. cool. l like it .tks very much.